Enjoy high quality fabric at an affordable price with the Incogneato Futon Cover. 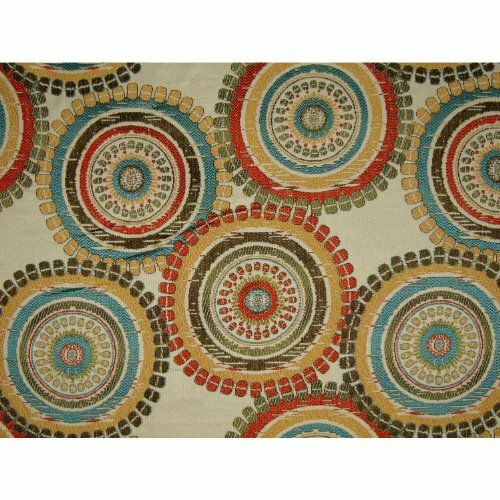 This 54'' x 75'' full size futon cover will add an attractive and fun play of colors to your home with its festive rings of red, blue, yellow, green, and brown lines and little ovals. It has a 3-sided zipper closure for easy application and removal. Serged and safety stitched for durability. Fits like a glove on 6'' to 8'' thick standard futon mattresses. USA made. Fabric Content: 100% Polyester. Care Instructions: Spot Clean with Water Only. 4.Compare the length and width to the sizing chart below. If you have any questions about this product by DCG Stores, contact us by completing and submitting the form below. If you are looking for a specif part number, please include it with your message.